Cleaner Putney employs a team of professional gardeners in Putney SW15. Our gardening services include hedge trimming, lawn mowing and garden cleaning. If you need gardening services and are positioned in Putney, it’s a good idea to take a look at our company. We are a group of gardeners who work very enthusiastically to provide the best gardening in London. Our company is number one in this business. We work during weekends as well. We also have customer support, which is available 24/7. It means you can call us any time. We are open to a discussion, recommendations and questions, so don’t be afraid to call us. Our gardening service is very carefully planned and developed throughout the years. We offer a bunch of options to cover the needs of the most pretentious people. The price we offer is competitive and it is calculated by the work done. So to say, it’s not a fixed price. As you can see, it’s quite a big list. 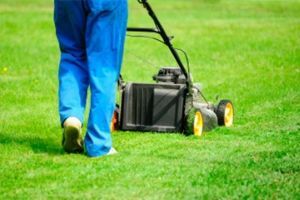 Most people only need to have their grass cut, but there are others who ask for complete garden maintenance that includes several other things. But no matter what you want, we guarantee that we’ll do it. And the results are going to be amazing because we’re trained, skilled, hard-working and creative, and we also know what customers want. Trusting Cleaner Putney means a lot to us. We use high-end garden tools and supplies that make our work much easier and simpler. Some of the tools we have cannot be used by non-professionals. The results that we provide are fascinating because we know how to work effectively with these machines. After all, we are experts at this. Getting in touch with us is very easy. But once you do it, you will be very happy you did. Either fill in our online enquiry form or give us a call. As we said, our call centre is open 24 hours a day, 7 days a week. It means that no matter when you reach us, someone will answer your call. At last, we’re based in Putney. This means that we can service people who reside this area and the surrounding areas. We’ll be happy to give you a hand, so please make sure you contact us and let’s see what we can do for you. Get a free quote today.